Am I the only one here racking my brain over new dinner ideas? Did you, too, ever save or pin promising recipes on Pinterest… but never opened this actual board?  Are you, like me, regularly ripping the family-friendly recipes pages of the latest Parents issue… and haven’t even opened your recipe booklet in a while. Wait, what recipe booklet, anyway?? Well, I happen to have 40 healthy and easy dinner ideas just for you! 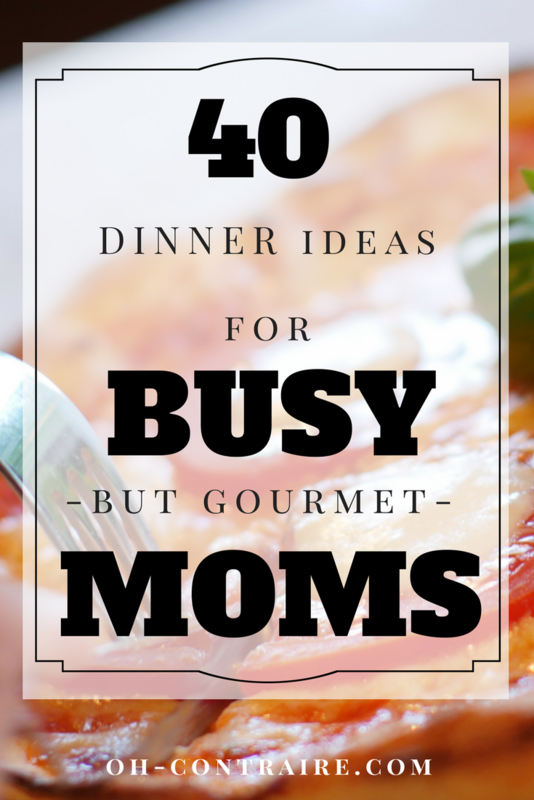 So I prepared a list of 40 weekday-meal-ideas for the busy moms out there. 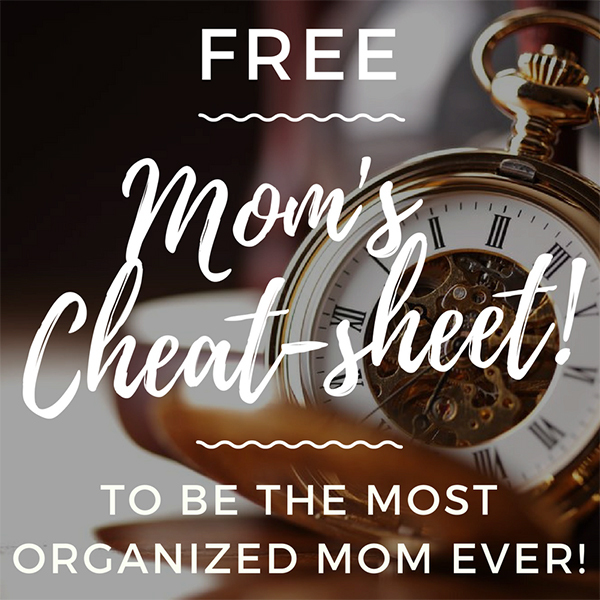 Those real-food-recipes you actually CAN prepare in the midst of a busy family life! I have to confess that I gathered these ideas as much for my lovely readers…as for my dearest friends E. and S, who I’ve been happy to coach these past weeks. And for my own family! Win-win, guys ☺️! 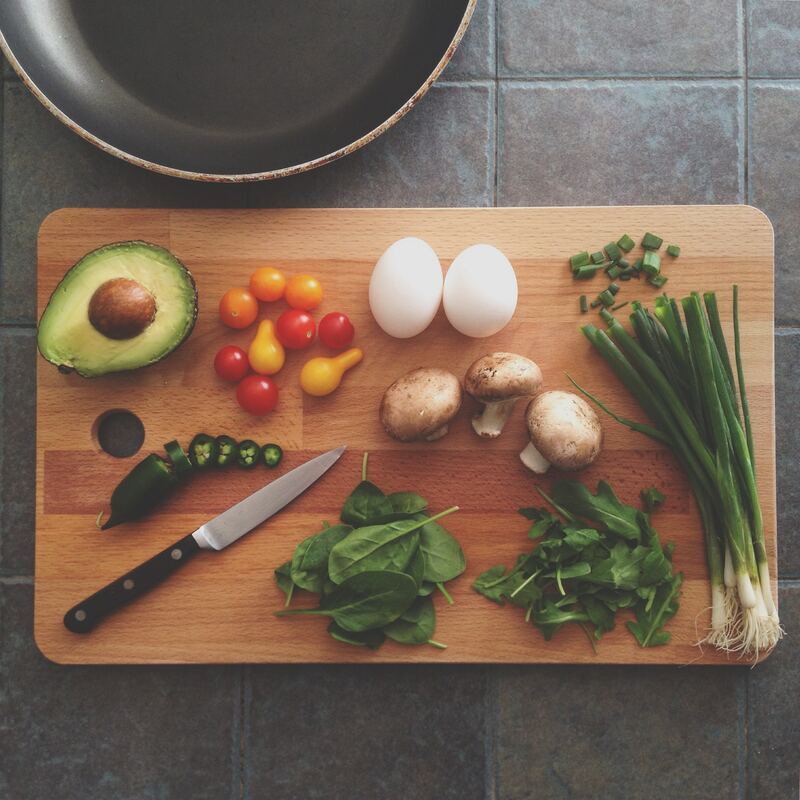 Yep, these ideas require some planning beforehand – and if you’re not quite there yet, my blog post about Meal Planning will surely help you. But my idea is that, when you plan your meals and do grocery shopping accordingly, you still don’t want/feel to stand for hours in your kitchen, right? These 10 meal ideas have the shortest cooking time: nice to keep at hand when you’re cooking dinner at the end of a long day! These 10 meal ideas will do the trick when you can let it cook overnight or during your work hours! These 10 meal ideas are the best when you crave an easy dinner casserole: just do the prep the night before, refrigerate the whole thing in the casserole dish and put in the oven when you’re home! Ready to cook in the afternoon so you’re NOT standing in the kitchen before dinner time? These 10 meal suggestions are ideals for stay-at-home moms – or any mom ready to cook in the afternoon – to save more time later in the day. That’s it! Yes, I know, you’ll still need to plan your meals and go grocery shopping beforehand… but I hope this list will help you prepare homemade meals even with a busy schedule!